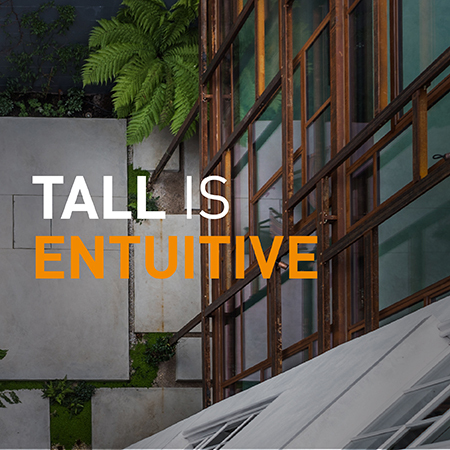 We are now Entuitive, an established consulting engineering practice with over 175 experienced structural engineers and building envelope specialists delivering projects of all sizes across the United Kingdom, North America and internationally. Expect to continue working with the same great team, just with more tricks up our sleeve to support your projects. Click here to read more. TALL have opened an office in Edinburgh to support our growing workload in Scotland and Northern England. TALL have worked extensively in Scotland and are currently engaged in structural design for The Bowhouse at Balcaskie Estate, a new local food hub that repurposes existing farm buildings at a site near St Monans. Housing small food and drink production units, community growing spaces, and an indoor farmers' market, the project will support local growers and makers in the East Neuk of Fife. TALL previously completed schemes for two award winning projects in Edinburgh with Konishi Gaffney Architects. Japanese House won the 2010 Edinburgh Architectural Association's Small Projects Award. Bath Street Window won a commendation at the 2011 Saltire Society Housing Design Awards and was shortlisted for both the 2011 Architects' Journal Small Projects Awards and the 2011 Edinburgh Architectural Association's Small Projects Award. TALL consulting structural engineers provide specialist structural engineering services on technically challenging and architecturally prominent projects. TALL is an innovative practice with offices in London and Edinburgh. We undertake work worldwide in diverse fields. Please follow the About link for more on the services we can offer or browse our projects by clicking on the Projects link. Our London office can be contacted on +44 (0)20 7733 6837 or by completing a contact form on our Contact page.